A true story, written by a father to his abandoned children. Its poignant and humorous, and comes to an unexpected conclusion. Dear Daughter will surprise the young and intrigue the adult with its tale of loss and redemption. Its story revolves around the author’s attempts to explain to his estranged daughter why he had abandoned her. She had requested him to tell her the truth, but he needed to find it first. would come true. 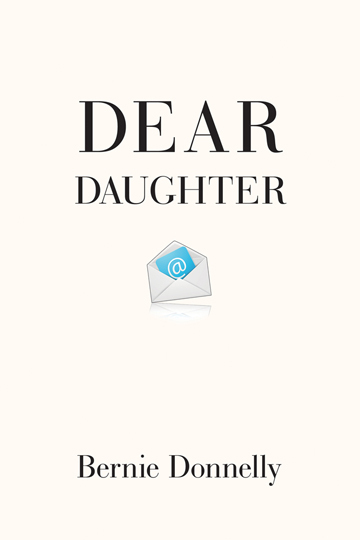 Dear Daughter is an entertaining and exciting story of how one person coped with a number of unique challenges - from hoping to earn his daughter’s forgiveness and wrestling with the pitfalls of a career in business to dealing with a looming corporate takeover. His three encounters with death, combined with his candid and comedic thoughts of murder and suicide, guarantee that no reader will be bored. Bernie Donnelly was born in Dublin in 1953. He formed his own software company at the age of twenty nine and had operations in Ireland, England and India. Following the sale of his business in 1999, he spent some years in Portugal, and in 2008 he emigrated to the U.S.A., arriving in Sarasota, Florida, where he remains to this day. He became a U.S. citizen in 2014. Bernie has five children and one step child. Dear Daughter is his first book, and plans are afoot to release a second volume. He is a qualified C.P.A. and a venture capitalist. He is an avid reader of biographies and history and has travelled substantially.